Real Madrid did their job this Thursday night in the Copa del Rey, beating Fuenlabrada 2-0 away from home with goals from Marco Asensio and Lucas Vázquez. The return leg will be played in the Bernabéu, in the 29th of November. 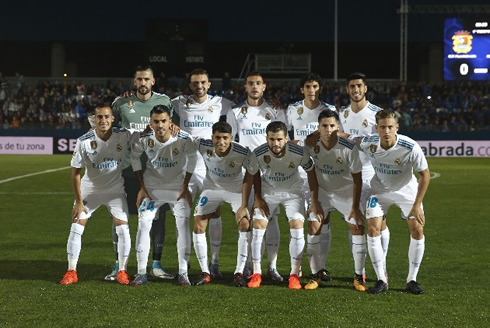 Real Madrid made their season debut in the Copa del Rey round-of-32, visiting and defeating a modest Fuenlabrada by two goals without response this Thursday night. In a match where Zinedine Zidane was happy to rotate many of his usual first choices, his pupils didn't let him down and brought home a comfortable advantage for the second leg. Despite the obvious difference in quality between the two sides, the Merengues were only able to stick the dagger in the second half. Not only that, but the goals were both scored from the penalty spot, with Marco Asensio converting the first and Lucas Vázquez setting the final score in 2-0 around the 80th minute of the game. It wasn't as pretty or as comfortable as we may have hoped, but Real Madrid were able to secure a 2-0 victory away to Fuenlabrada tonight, putting them one step closer to the round of 16. Most of the regulars were able to stay home for the match, but Nacho, Casilla and Lucas Vasquez were there to guide the young lineup. Theo, Asensio, Ceballos, Llorente, Achraf and even Jesus Vallejo (making his full debut) started today, with Mayoral up top leading the line. Fuenlabrada are a tough bunch, currently in second place in Segunda B they were clearly up for the match testing Casilla a few times in the first half. Madrid looked quite uninspired despite some nice play in midfield from Ceballos and Llorente. 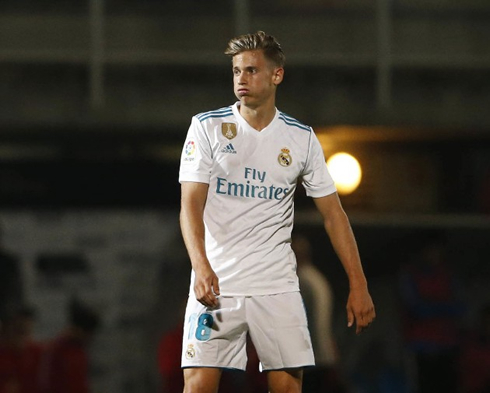 Marcos Llorente is a gem and Zidane needs to keep finding him some playing time. It was his volley late in the half that almost netted the first goal. It was stopped by former Castilla keeper Jordi Codina. In the second half, Real Madrid clearly took it up a notch after Zidane likely ripped into them at halftime. With the pressure building, their opponents couldn't cope and Achraf was pulled down as he broke into the box. Asensio stepped up and calmly slot the penalty home. Mayoral would have few more chances, but Codina was up to the task. Real Madrid would be granted a second penalty later in the match, as Vasquez converted it this time and the match would finish 2-0. Vallejo looked good in his much-anticipated debut, but he was sent off late for a reckless challenge. It wasn't malicious by any means, but not a challenge an experienced defender (unless your name is Sergio Ramos, so maybe that's what he's been learning in practice!) should make. Cristiano Ronaldo next game is for Real Madrid on October 29 of 2017 against Girona. You can watch Juventus live stream, Girona vs Real Madrid, Athletic Bilbao vs Barcelona, Manchester United vs Tottenham, Arsenal vs Swansea City, and Liverpool vs Huddersfield Town, all matches provided from our soccer streaming game pages.